HIGH STRENGTH LION’S MANE EXTRACT. 37% Polysaccharides – Premium High Strength Extract – Full spectrum Dual extracted (alcohol/water) to extract both water-soluble and non-water-soluble bio actives. 3RD PARTY TESTED. Our organic lions mane is 3rd party tested for 5% beta glucan content. 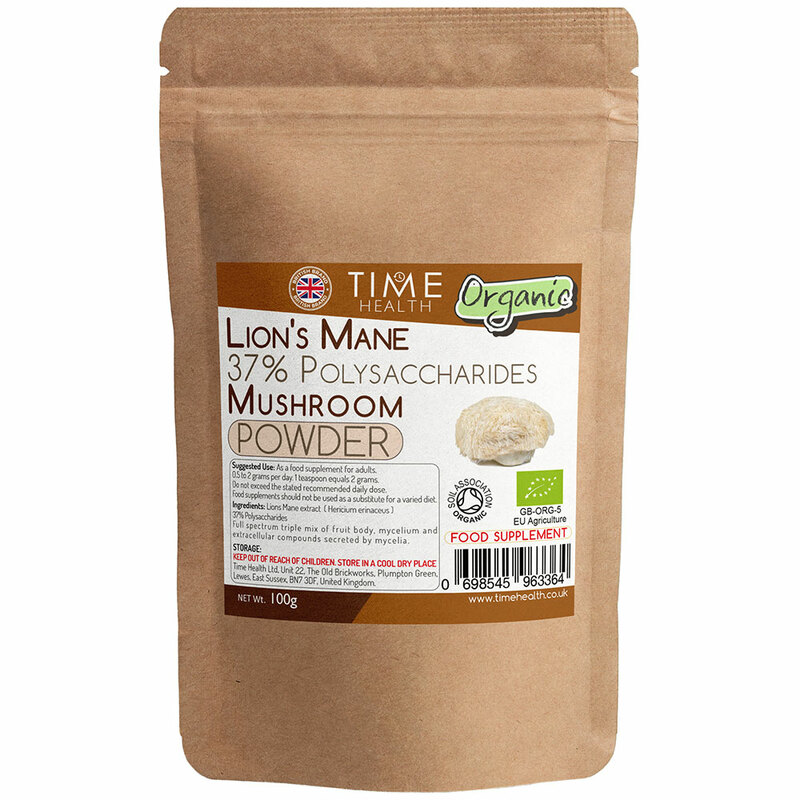 FYI: Since this is a full spectrum triple mix including the mycelia the powder is a little grainy so if you like your Lions Mane in tea or coffee we recommend sticking to our 30% Polysaccharides version which is a very fine powder. FYI: Please don’t expect instant results with Lions Mane. Clinical studies done with Lions mane are done over a MINIMUM of 2 months use. Couldn’t be better- totally satisfied with service and product. Lion’s Mane mushroom helps with anxiety and depression-no doubt about it! 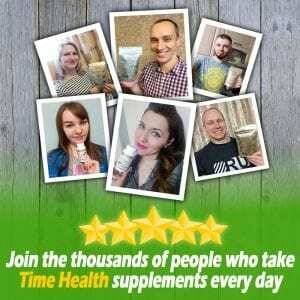 Quality company, have ordered olive leaf extract twice, which is also excellent for many things. Thanks. Item came the next day and very nice product. Nice mild flavor easily mixes with milk which is how i take it and liking the benefits already. So happy I found this. The powder dissolves easily, tastes nice, and only time will tell if it will be of help for my husband's mild dementia and for my eternally poor memory. I feel confident in the quality and believe that it will be beneficial for our health. 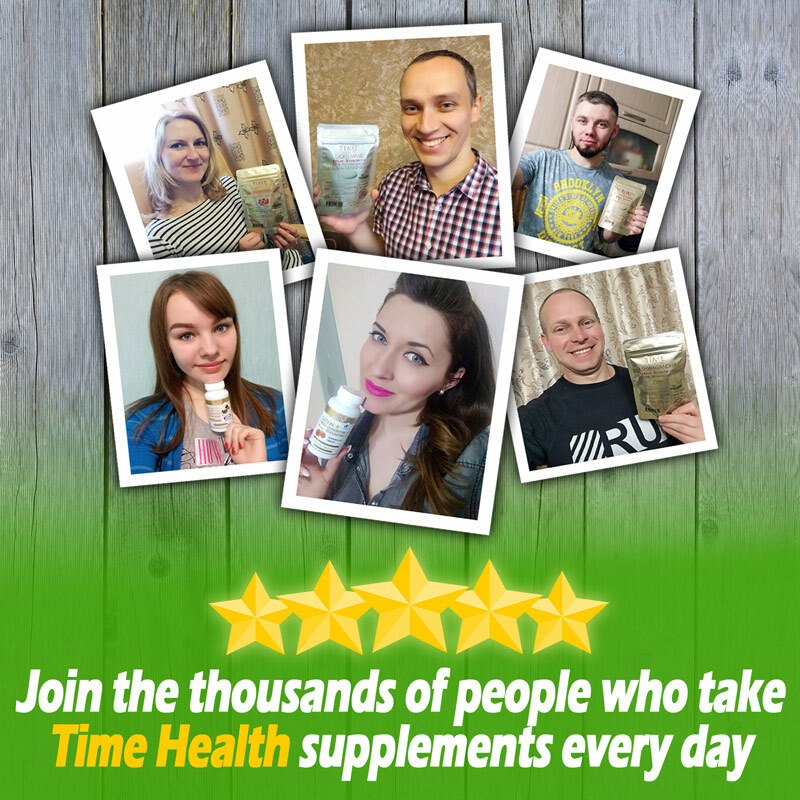 I was researching supplements for memory and came across lions mane mushroom and after some further research found time health. I choose this source as it seemed like a reputable website. Delivery was prompt (2 days)! Onto the product itself, it has a slight smell and slight taste but nothing too bad. I take a teaspoonful into my mouth followed with a sip of water and swish it around and swallow. No fuss no gagging! While I cannot particularly attribute lions mane to this effect my memory has definitely improved. Recall ability has been improved so I don’t have to resort to google as much!!! All round great service and will return to restock!